A Guide to the Victorian Transport Accident Scheme. This is a broad outline of the Transport Accident Commission (“TAC”) scheme. For more information on each topic, please click on the links above. Income replacement (weekly payments), paid if you cannot work because of your injury. You must call TAC directly to lodge a claim on 1300 654 329. If your accident was not attended by Police and you were injured, you must also report the accident to your nearest Police Station. We can assist in advising you and walking you through this process. You have a “serious injury”. This claim may also be made if the accident has caused the death of a person, but can only be made by those dependent financially on the deceased person. If TAC make a decision you are not happy about, you can ask for an internal review or you can go to the Victorian Civil and Administrative Tribunal (“VCAT”) to try to resolve the dispute. You must go to VCAT within 12 months of the decision being made. An application to the County Court will be necessary if you make a Common Law claim. You can make a TAC claim if you are injured in a transport accident. A transport accident is an accident caused by the driving of a car, motorcycle, bus, train or tram. Pedestrians and cyclists injured in a transport accident are also covered by the scheme. Contact the TAC on 1300 654 329 and they will walk you through a claim form over the phone. If you are claiming compensation for time off work, you will need a medical certificate from your doctor, and proof of your earnings. You will need to continue to send medical certificates to TAC as long as you cannot work. You must pay for your initial medical treatment, up to an amount called the excess, unless you were admitted to hospital as an inpatient. You can claim the excess from Medicare where appropriate. When you have reached the excess, you need to complete a medical excess declaration form (available from TAC) which details the treatment you or Medicare have paid for. You can claim all reasonable medical expenses related to your injury. Medical services must be provided by a TAC accredited provider. You can also claim for travel expenses when you see your own treating doctors and when you are sent to doctors by TAC. You may also claim for home help, help in the garden or for modifications to your home and car, where necessary. You should discuss these needs with your doctor, who can provide a letter to TAC setting out your needs. If you are the parent of a child injured in an accident, TAC will pay reasonable travel costs for you to visit your child in hospital and may pay for your reasonable accommodation costs. If you are staying overnight at a hospital, TAC may pay for your spouse and children to visit you. To qualify, they must live more than 100 kilometres from the hospital. If they do, TAC will pay for their reasonable travel and accommodation costs. TAC is required to help you design a rehabilitation and return to work plan, preferably with a rehabilitation provider. You must take all reasonable steps to participate in rehabilitation and return to work. If you do not, your benefits can be stopped. Your first five days off work cannot be claimed from TAC. After that, if you are an earner you can receive payment for time off work due to your injuries. You may be an earner even if you were not working at the time of the accident, but had worked over the previous two years. You should seek legal advice as to whether you are an earner, if in any doubt. If you are totally unable to work, you should be paid 80% of your pre-accident weekly earnings. If you are suffering a partial loss of earnings, you should receive 85% of the difference between your pre-accident earnings and your current earnings. If you are still unable to work after 18 months, TAC should continue to pay you as previously but based on loss of earning capacity, which may not be the same as your pre-injury earnings. If you are not an earner but still cannot work 18 months after the accident, you may be eligible for loss of earning capacity payments, but calculated under a different formula. you are unable to work or have a reduced earning capacity. Remember, you must keep lodging medical certificates from your doctor with TAC to continue to be paid. The only other way to receive compensation for being unable to work is by making a Common Law (Fault) claim. What happens If I have been drinking? If you are assessed as having more than a 10% permanent impairment, you will receive an impairment benefit. 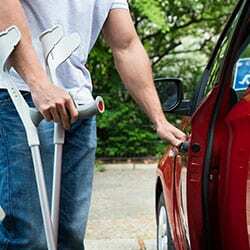 TAC will generally not assess you for this benefit before 18 months after your accident. TAC will not necessarily assess you for this benefit and you ought to consult us to discuss your entitlement. If you are not happy with TAC’s decision, you should consult us immediately. You only have 12 months to challenge TAC’s decision. This assessment is also important in establishing whether you have a serious injury. A common law claim is a claim made when you can show that fault or “negligence” on the part of another driver or some other person has caused your injury. Your injury must be considered to qualify as a “serious injury” before you can claim common law damages. The process of showing you have a serious injury begins with an assessment of your permanent impairment. If you permanent impairment is 30% or more (this is quite rare), you will automatically qualify with a serious injury. If your permanent impairment is less than 30%, and you want to claim common law damages, you will need to apply to TAC for a serious injury certificate. If TAC will not grant you a serious injury certificate, we can appeal this decision in the County Court. Once you have proved your serious injury, we must negotiate with TAC for the appropriate payment of damages to you. If negotiations fail, we will go to Court for you. Loss of Wages – You can claim a lump sum for past and future loss of wages if you have a serious injury. If a transport accident has contributed to the death of a person who was an earner, the dependents of the deceased person can claim benefits. Earner includes a person receiving Centrelink benefits for 26 weeks of the two years prior to the accident. If the deceased person provided housekeeping or child-rearing services to the family, the reasonable cost of providing those services for five years will be paid. If death has been caused by negligence (fault) or another person, the dependants may sue for damages. You will need to see a lawyer. Apply to the Victorian Civil and Administrative Tribunal (“VCAT”) to try to resolve the dispute. You must apply to VCAT within 12 months of the decision being made. Always seek legal advice about a TAC decision. Paying for medical reports, court fees, and other expenses (in approved cases).